Album Artwork | Richy923: Published! 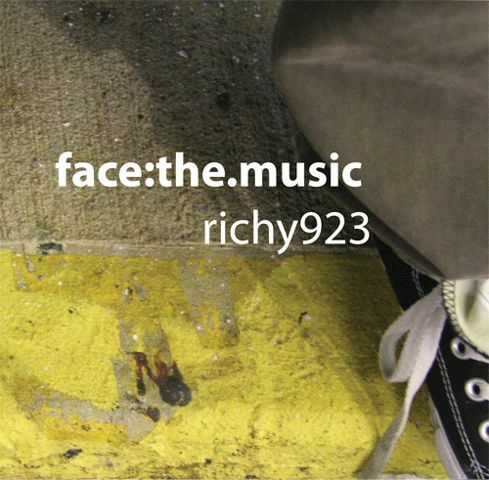 And here we have it: the new album cover for face:the.music. Cut to two weeks later, she presents this to me and says “I like it… It’s gritty,” like some of life’s situations. It’s got both a rock and a hip-hop feel. Thanks Roz, it’s awesome. This entry was posted on December 12, 2008 by richy923. It was filed under music and was tagged with artwork, facethemusic.